e-med offers consultations with your own private online doctor by e-mail or in person. It takes just a few minutes to join, then you are ready to consult as soon as your membership is approved. For those who wish to do the trimethylaminuria urine test without a doctor and pay for it themselves, it can be difficult to find access to such tests. 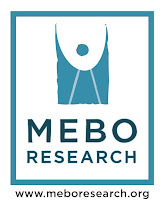 In the UK, the current suggestion MeBO Research makes is to test via Mullhaven lab. Sheffield Children's Hospital is the only known actual TMAU test lab in the UK, and if you see the test available anywhere else, it will likely be sent to Sheffield for testing. Mullhaven lab is the cheapest we know of, costing around £193. However, a better route may be to join E-med, which is an online 'doctor's surgery'. It costs £20 a year to join, then £15 per 'consultation', which they say involves as many emails until you feel satisfied with the consultation. They can arrange tests etc. Sheffield Children's Hospital charges around £140 to anyone accredited to request such NHS tests (such as a private Dr), so testing through E-med should cost around £175 for testing, and include an email consultation from a surgery who currently have not heard of TMAU, but presumably over time will learn.You could also contact Nigel Manning directly to discuss your results, as he has said he would be willing to help interpret it for you. So, if it proves possible to TMAU urine test via E-med, this would be the way MeBO would suggest testing for TMAU directly in the UK if you don't mind paying. If anyone tries testing this way, or knows a cheaper route, please let us know what you thought. Remember that the test is available for free on the NHS. Note : It looks as if E-med accept customers worldwide, so this may be a way for people in Europe to test direct without a Dr if they so wish.